Calgary is regarded as one of the cheapest considering the cost of living in Calgary, yet a comfortable place to live, study and work, when compared with other major cities of Canada. The critical aspect is that, with the drop in the expenses, the quality of life has not been sacrificed at all. Apart from being a stupendous city to live in, the place is decked with some of the enormous sightseeing options for all its habitants. Aero Space Museum, Bow Valley Ranch, Calgary Chinese Cultural, Canada Olympic Park and Calgary Zoo are some of the places that are a must watch for every person visiting Calgary. Students can get various options as far as their accommodation is concerned. Apart from the Campus Residence, students can opt for the “Temporary Accommodation” that may range somewhere between $1,089.00 and $1,200.00 per month for a two-bedroom apartment. Calgary Transit is a critical resource for people belonging to middle-class, students and elders in a major way. The transportation network besets a wide range of road, rail, air and pedestrian facilities and serves as a huge contentment for all the Calgarians out there. The “C-Train” or Light Rail Transit (LRT) system serves a huge benefit for students as it has a University station on the east side of campus. In addition, students find a great comfort in traveling, with the presence of various bus stops that are located at the main entrances of various campuses. Always save some amount of money for unexpected expenses on a daily basis. Some of these expenses may include entertainment costs, dental and medical bills, insurance, investments such as IPO’s, shares and debentures and so on. 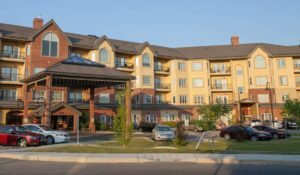 All in all, Calgary is one of the favorite places to stay and spend time with your loved ones. 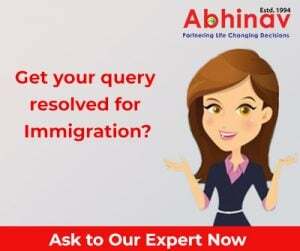 Hire the services of an adept immigration consultancy firm to know more about the immigration process and get ready to experience the feeling of “AWE”! Calgary is a rather expensive city to live in, and top 3 or so expensive in the country. I have just moved to Calgary, and done some online research. That said, if you don’t have children you can easily survive in Calgary.